I’m proud to work in Lambeth, both as a GP and as a Clinical Governing body lead for the CCG where we take the idea of co-production very seriously. Not just as a theory, but as something we need to genuinely take on board if we are to change the relationship between health professionals and patients: this is our NHS and we need to be in this together. This is one of the reasons that we have been looking in Lambeth at how people with mental health concerns can be offered personal health budgets. Supporting people to be ‘patients in control’ is particularly important for the ever-increasing number of people I see in surgery who don’t come expecting a quick fix. I’m sure like many other people in the medical profession I became a doctor with grand intentions to ‘cure sickness’ and ‘make people better’, but with more people living with complex long term conditions and disabilities that just isn’t always an option. The truth is that there are limits to what I can offer someone with conditions such as chronic obstructive pulmonary disorder (COPD) or a degenerative neurological condition such as multiple sclerosis (MS). So why do these patients book an appointment with their GP? For some it’s to sensibly monitor their condition, do what they can to manage their symptoms and make positive lifestyle changes. More often though it’s because those conditions are incredibly difficult to live with, and they come because, for example, they’re no longer coping with pain, experiencing more frequent chest pains or not sleeping. If a person remains in pain, I can expect to see them back in my surgery next week – or worse still, ending up in A&E or being admitted urgently to hospital. That doesn’t work for anyone. I believe in the option of personal health budgets so that, where appropriate, people have real choice to direct their care, particularly when it’s clear that what I have in my medicine chest isn’t enough. If I know that a particular treatment hasn’t worked for someone, why waste more NHS funds referring people to more of the same, when there may be alternatives that keep them out of hospital that? Clearly personal health budgets wouldn’t work for acute care or for treating illnesses such as cancer. As a doctor there’s no way I would want to see someone choosing to treat cancer with an unproven alternative therapy, but if someone finds yoga can help them to cope with chronic pain better than traditional physiotherapy, then surely that’s a sensible use of money? 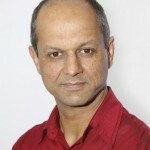 Dr Raj Mitra has been a GP in Lambeth since 1995 and is a clinical member of the Governing Body at NHS Lambeth CCG. His specialist interests are mental health, dementia, cancer and end of life care, and patient engagement. I remember when my mum was first diagnosed with MND, 20 years ago, I was told by the GP that we, as carers, would understand most about my mum’s condition and what worked best. Surely this is what is at the heart of PHB? I’m now in this situation again, as a close friend has had a paralysing stroke and has been left with Locked in Syndrome. It is for this reason that we are considering direct funding. We look forward to having more control and say in the overall care and clinical support required. Whilst all this is new to us the opportunity to go down this route is encouraging. We are daunted though by the NHS red tape and over worked patronising processes. We hope that we will not be bound by too many constraints and staid processes for the sake of having a process. Dr Raj Mitra is right, if people can be involved more closely in the management of their care plans I’m sure that ultimately it will reduce overall NHS cost. What is key for me is going to be having a good MDT around us to provide the necessary support and guidance. It’s going to be interesting and we look forward to the challenge. Thanks for this perspective. I agree with a lot of what you say. Professionals don’t always know best and nothing beats personal experience especially if you have a long term condition. I agree we have learnt so much from working in Lambeth with people with mental health histories and their carers over the last few years. People need moral support and encouragement as well as medical interventions from their GP and other staff and, as many people with long term conditions are on low income, they also need money to do the things that others might usually do for themselves such as yoga or a holiday. Money gives people control over a lot of things and some of us can forget how out of control it gets when you don’t have enough for the necessities let alone a decent quality of life. But I know the personal budget agenda is about both being able to purchase personal care that suits you as well as the informal extras that help you live the life you want. To me this all sounds positive and I think it does to others which is why we are pushing ahead to make personal budgets more the norm. I would be failing in my duty as a public health person however if I did not sound a note of caution because not everything that looks or sounds obvious and intuitive actually works or works as well for everyone. We have to be clear what success is and who is experiencing the success and be alert to potential unintended consequences and whether other options work better for some. We don’t want to swap one ‘one size fits all’ approach for another. We are learning the importance of narrative and personal stories in Lambeth so you know I am not heading for the spreadsheet and the statistical programme when I say that so far I still think the case for personal budgets is unproven. Martin Webber’s team in York are doing good work and recently published a systematic review. See; http://php.york.ac.uk/inst/spru/research/summs/pbmh.php They found the qualitative aspects positive but not enough to base policy or practice on. Perhaps this is what an academic is bound to say under these circumstances but I think we need to be mindful of the state of the evidence, keep careful tabs on what we are doing, learn as we go and ensure we can adapt quickly. I think we are well placed to do this in Lambeth.